On November 9, 2017, we will honor a momentous day in Buffalo’s history—exactly 50 years to the day—after Dr. Martin Luther King spoke here at Kleinhans Music Hall on “The Future of Integration.” We will welcome to this very stage, Nobel Prize winner Toni Morrison. BABEL audiences will return to Morrison’s novel, Beloved—her masterpiece ghost story about how the specter of slavery haunts us. Buffalo is now in the midst of a rebirth that some would say is bringing this rust belt city back from the ashes. And yet, as one of the most segregated cities in America, we still have a long road ahead. Let’s grapple with that. Fifty years ago, Dr. King dared to imagine a future free of segregation. Now, let us come together to be inspired by Toni Morrison’s wisdom as we imagine the next fifty years. Get the Reader’s Guide for Beloved (provided by LitLovers). Season Subscription tickets are good for all four of the BABEL events at Kleinhans for the 2017–2018 season. VIP Patron Tickets include preferred seating and access to a pre-event catered reception at Kleinhans, attended by the author of the evening. After each event, all ticket holders enjoy an interview-style Q&A moderated by Artistic Director Barbara Cole, and may have their books signed by the author. Singer and songwriter Drea d’Nur has been making an impact as an independent artist for 10 years. Prior to her Germany recorded debut Day of D’Nur (2013), she had collaborated with industry producer and performed on a major network. She’s worked with Grammy winning producer and writer, Greg Curtis, who wrote and produced Love and I Remember for Keyshia Cole. She also did a special Marvin Gaye cover on ABC World News Now which was nationally aired in America. Okayplayer.com debuted 2 of her original music videos. Cry For Change is an ode to those killed due to senseless violence, and Break Me Down is a passionate portrayal of the spirit of resilience of oppressed people highlighted with dance. 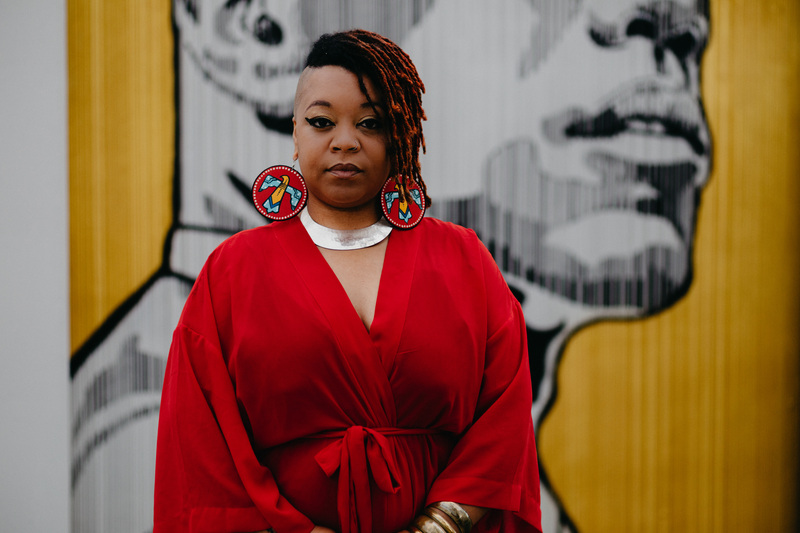 Drea d’Nur’s work has reached national and international acclaim with localized work to highlight the rich history of Black music and art in Buffalo. This 2017 Spark Awards Artist of the Year has performed overseas, released two independent music projects, produced two short films about Nina Simone, directed a music video, produced two stage productions, and has album credits on the new Gorillaz album, HUMANZ. She is currently creating new music and preparing to launch an exciting new creative community arts initiative all while raising five gifted children. Please visit www.spiritofnina.com to learn more about her original visual and musical homage to Nina Simone.